Sunday is always a special training day in the Bujinkan. 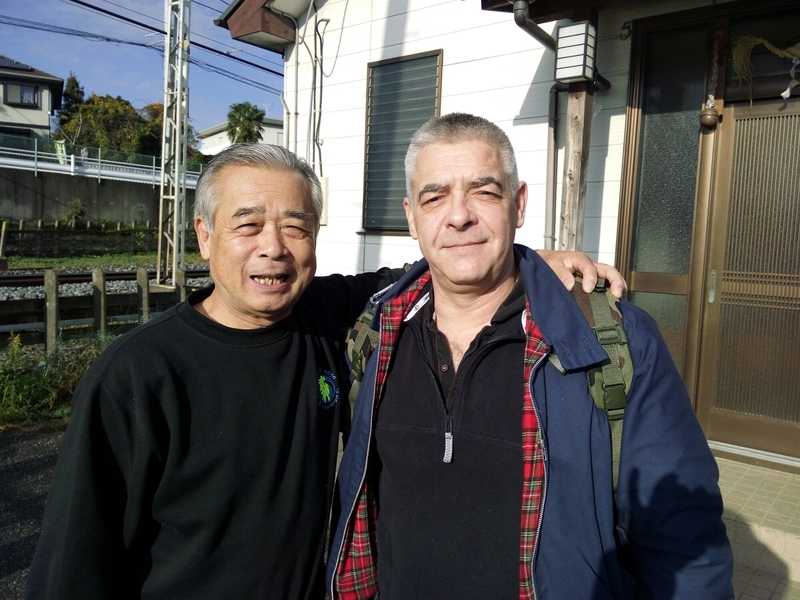 The first class in the morning was given by Noguchi Dai Shihan on the kukishin chûden level. As to be expected the dôjô was already packed. What was interesting is that Noguchi sensei used the “other name” of the techniques. In Japanese each technique has two names whether you pronounce them in on yomi or kun yomi, the Chinese or the Japanese pronunciation. This double name is what sensei is using when he plays with words making something, something else. Did you know that shidôshi doesn’t exist? It is a “hatsumism” based upon 指導者 (shidôsha), which means: leader; guide; mentor; coach. I was training with my friend Rosa and we were quite into it, trying to replicate the subtle movements demonstrated. Once again I was amazed by Noguchi sensei’s ability to dig deeper in those well-known movements. Noguchi sensei has this faculty of using Uke’s body reactions to build the technique while it is unfolding. The class was fast and full of points that will take us a few months to understand and to reproduce. Then it was sensei’s class, with Darren we estimated that more than 140 people are packed in the honbu. Needless to say that naginata techniques were not possible. The honor of opening the class was awarded to my friend Jack Hoban opened it. Like Friday night, Sensei made it more simple (kami waza) and created some shortcuts that rendered uke inefficient in an instant. Then we moved to the mutō dori, and here again, Sensei movements were unreadable by the attacker. There is no grabbing, no power, the steps are done in unity with the whole body. Going back to the image of the 土埃 (tsuchibokori), the cloud of dust, Sensei explained that our movements have to be in perfect harmony with those of our opponent. Therefore there is nothing he can perceive until it is too late. When you watch sensei moving, everything is done very slowly as if he knew where and what the uke was going to do. Sensei added that to match perfectly Ukes movements so that he is not able to see us was the important point. Conceptually this is quite easy to understand, but practically it is nearly impossible to do, whether you are Dai Shihan or not. 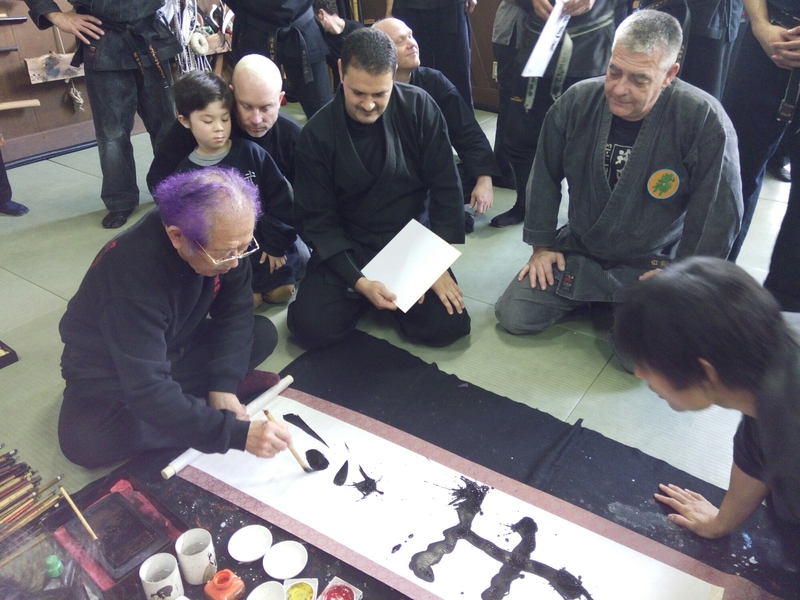 The bujinkan is really an endless path and the technical aspect reflects your own steps on the path of life. This was repeated later today during his speech at the Shidoshikai meeting. After the class we all meet at Hana, the Chinese restaurant up the road from the dôjô. This year there was no dkms but a Shidôshikai meeting instead. The food was good (maybe a little heavy), the location easy to find, the timing perfect . Before the food was served, Noguchi Dai Shihan opened the meeting for the traditional “kempai” and sensei made a deep and detailed introductory speech. I will try to summarize here the key points he covered. After the very “packed” class, he was happy to confirm that our new honbu dôjô will open at the end of February 2015. The other when I took the pictures I measured a training surface of 11 steps by 11 steps (instead of 8×11 that we have today). So there will be definitely more space to train. Then he reminded us that the bujinkan was more about teaching humanity how to live happy than to learn deadly techniques. He said that “peace and love are more important than war and hatred”, but then added that “because mankind is what it is, it is normal to learn how to defend ourselves”. “there will always be war, so we have to be ready for that”. 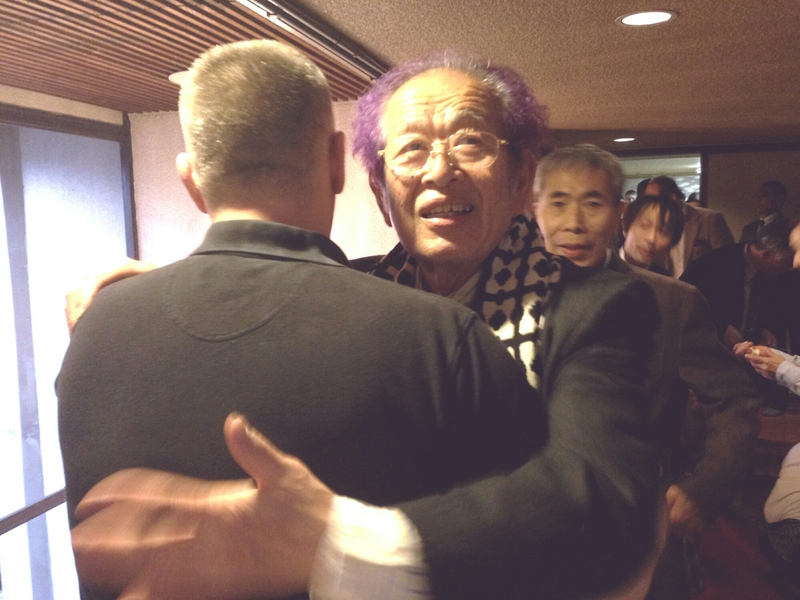 Using Jack Hoban as a witness, he also spoke about his first trip to the USA in the eighties, and said that ninjutsu at that time was on a wrong path and that he sent a message of peace there, and tried to reorient it towards the good direction. This is when he said his famous sentence: “I’m not Japan, I’m no country, I’m a UFO”. Meaning that he is teaching for the world. Ninjutsu doesn’t belong to Japan but to mankind. Ninjutsu had nothing to do with those spies in black, it is a path of peace and education for humanity. Remember what he said a few years ago: “ninjutsu is not made in Japan, it is made in human!”. All those teachers teaching the “real ninja stuff” are all wrong. Stop the movies and become and train like adults! Then he continued and said that we, Shidôshikai members, have a mission to fulfill which is to do our best to save the planet that is going through some major changes in this period of time. If we don’t do it we might end up without a planet to live on. He finally added that he has been collecting hundreds of weapons and densho over the years and that he would like to give everything to anyone who can make it available to mankind, either inside or outside of Japan. He added “I will give it for free”. So you see, Sunday is always a special day, but this one was indeed quite particular. When he left the restaurant, I was on his way, he said goodbye to me and gave me a big hug. Yes a very special day indeed.